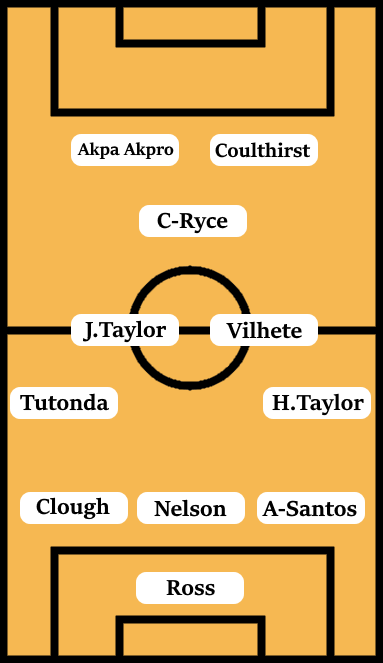 After a win that was not technically a win against Walsall in the Checkatrade Trophy, we return to league action with the benefit of most of our first-choice XI having had a rest after a hectic couple of weeks. Importantly too, Tuesday night’s penalty shoot-out win allowed players returning from injury minutes to gain match fitness, while some of the younger fringe players demonstrated that they can make an impact if called upon. Cult hero Jordan Ponticelli’s first goal for the club obviously caught the attention, but for the short-term at least, McNulty making a decisive impact in the game could help ease the burden of Duckens Nazon’s absence for this upcoming game. Nazon’s absence is probably the biggest variable between us stretching this good run of form further or not. Not only have his goals been vital over the past few weeks, but his mercurial presence in attack has given Jodi Jones, Maxime Biamou and Devon Kelly-Evans room to really come into their own. 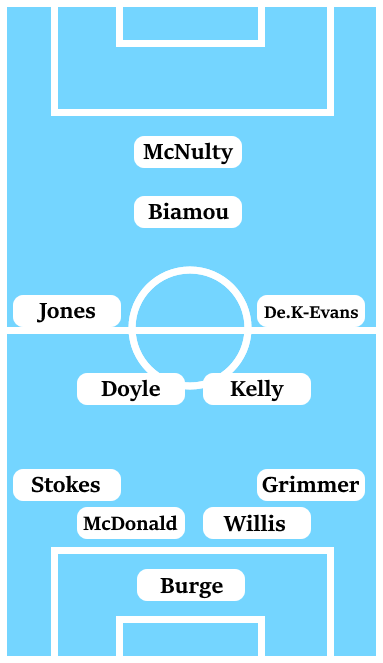 There is extra pressure on Jones then to be even more important than he already is to our creative play, but it would help if McNulty and/or Biamou make a step-up in this game as well. Elsewhere, it’s hard to see any reason for Mark Robins to change the rest of a team that has won three league games in a row. The one big call that could be made may be to restore Peter Vincenti to the starting XI over Devon Kelly-Evans. It would seem an absurd one to make for a multitude of reasons, but I wonder whether Robins’ pragmatism may see him opt for experience over youth. We have never played Barnet in a competitive fixture in either cup or the league. However, I did find evidence that we played the Bees in a pre-season friendly back in 1990 – if that isn’t thorough research, then I don’t know what is. Barnet are looking to put their days of perennial struggle at the foot of League Two to an end and are going through a bit of a transitional period at the moment. Since moving into their new facilities at The Hive four years ago, the club have been going through a modernisation process as a result of having additional revenue streams and a productive youth academy. Last season they went through four different managerial spells before return to their second manager – Rossi Eames – who had them challenging for the play-offs around the mid-phase of the season and playing some pretty decent stuff. While there weren’t lofty expectations heading into this season, there were hopes that a full season under Eames would have Barnet putting together a more concerted bid for promotion. However, a poor run over the past month has tempered that optimism. One of the biggest reasons behind Barnet’s slow start has been two successive injuries to John Akinde, that have reduced one of the most lethal strikers at this level to just two appearances thus far. While the pacey front-pairing of Shaq Coulthirst and Jean-Louis Akpa Akpro have had their moments this season, neither are particularly consistent finishers in the manner that Akinde is. Playing just behind that front two this season has been veteran winger Jamal Campbell-Ryce – a consistent thorn in our sides over the years. While he’s lost the pace he once had, he has been fairly successfully converted into a central player who can on occasion drive at defenders still with his dribbling ability. Mauro Vilhete is another quick midfield player who can pop up with goals and assists. Pace and power are key tenets of this Barnet side, although a criticism of them this season is that they’ve perhaps been slightly too cautious in their set-up in an attempt to hit teams on the break. Without Akinde in attack, they’ve lacked a presence up front who can hold the ball up and relieve pressure on the side, while an injury to first-choice keeper Jamie Stephens has also undermined their defensive efforts. All the signs point to an away win here – mainly, the simple mathematics of us being in good form and Barnet being on a bad run – however, football doesn’t always work like that, and we can’t start getting complacent now that we have a chance to assert ourselves in the automatic promotion places. Having already beaten Luton this season, Barnet have shown they have the capability to beat some of the better teams at this level. Duckens Nazon’s absence is another reason to doubt things going to plan for us, however, Marc McNulty – a player who has shown he can be lethal at this level – is not a bad replacement to have. Despite the potential for this to be something of a banana skin for us, I’m going to err on the side of caution and go for a 1-0 win.